Bill C-309 poses a severe threat to Canadians’ right to freedom of assembly, and threatens future protest movements. Anonymity, crowd action and protest have a long and storied history, a tradition which extends well into the present day. Crowd action is deeply rooted in anonymity, allowing an individual to blend into a larger group of people, reducing the risk of state reprisal and repression. In this post, I provide some historical context to this, arguing that we should not allow Bill C-309 to pass. The use of fictional or historical characters to mask a protesters’ identity has many precedents. 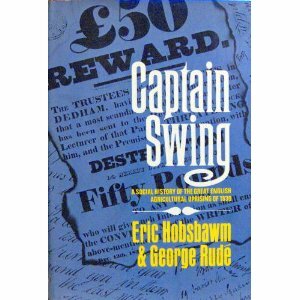 Historians Eric Hobsbawm and George Rudé have explored the symbolic and practical importance of figures like General Ludd to the Luddite movement or Captain Swing to the Swing Riots during nineteenth century British protests. With the latter, farm workers facing unemployment, underemployment, low levels of relief, and the replacement of their labour with threshing machines, used letters from “Captain Swing” to object to these conditions and protect their identity from the long arm of the state. Of course, the use of masks during crowd actions also have a much more sordid history – the white hood, as one example, continues to be a powerful symbol of racist oppression and violence against African Americans. In more recent years, “Anonymous” has become a potent symbol among protestors. 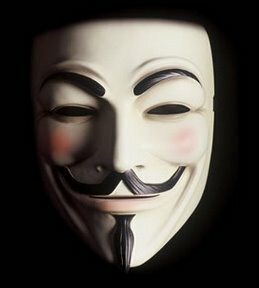 Popularized by the comic book (inspired by Thatcher’s Britain) and film V is for Vendetta, the Guy Fawkes masks provide a means for activists to escape state repression, rallying behind a symbol that evokes considerable meaning. Technological developments have been a powerful force in building protest movements and activist links. So too have they made it easier for the state to crack down on dissent. Many repressive states across the world have used the Internet to trace its critics, jailing or otherwise eliminating opposition to dictatorial rule. In the Canadian context, face recognition technology has most recently enabled authorities to identify and arrest individuals caught in crowd shots. There are many reasons why someone participating in a peaceful assembly may want to cover their face or hide their identity. Some people shield their faces in public for religious reasons. While religion may be read as a “lawful excuse”, this Bill could still limit the right of some religious groups to join in peaceful assembly. There are many other reasons people may choose to cover their faces during a peaceful assembly. Photos are often shot continuously during protests, as participants, observers and the media attempt to document these events. Pictures can be instantly uploaded to the Internet, available to be viewed by millions. This could cause professional or personal duress for those who may live or work in an environment hostile to activist causes. Furthermore, facial concealment is also an important method for peaceful protestors to physically protect themselves from police violence. A kerchief is often the only tool a protestor may have to shield against the burning effect of tear gas or other forms of crowd control. Supporters of Bill C-309 might point out that these prohibitions would exist only in cases where a riot or unlawful assembly was unfolding. Yet who gets to define what constitutes an unlawful assembly? Many governments have seemed all too willing to define a broad range of protest as unlawful, particularly when these protests target state authority or power, such as was witnessed during the largely peaceful G20 protests in Toronto. Bill C-309 could pose a serious threat to Canadian rights to participate in peaceful assembly. It would also enhance the power of the state to crack down on dissenters. This is not a positive development for democracy. The Conservatives in Canada like to position themselves as the champions of smaller government, freedom and democracy. However, a state that dictates what we can and cannot wear is Big Government in all the wrong ways. Bill C-309 would place serious limitations on our democratic rights. What does your MP think of Bill C-309? Contact information for your MP is available here if you’d like to find out. Since ‘my’ MP is Diane Finley I can be fairly sure that she supports this bill. Because the Conservatives take little notice of dissenting viewpoints there is not much point in communicating mine to her. However, I am grateful to you for this very helpful analysis. As I was re-reading your post, Christine, I thought about the other major privacy issue facing Canadians under the Conservative government: Internet privacy. As Michael Geist reported on Saturday in the Toronto Star (http://bit.ly/swymy1), legislation appearing early next year will also remove online privacy rights. Without a warrant, Internet Service Providers will be required to provide user information: including names, phone, email, physical address, and so forth. If these bills come to fruition, you won’t have any right to conceal your identity online or off. Our Constitution provides for ‘peaceful’ assembly. When such an assembly is not longer peaceful then legal steps can be taken to declare that a riot or unlawful assembly is taking place. Those assembled are ordered to disperse and if they do so then peace is maintained. However, if they choose not to disperse then the authorities, under the Peace, Order and Good Government provision of the Constititution have a responsilibity to restore peace. Peaceful assembly does not include acts of destruction of property, public or private. Those who carry out this destruction deserve the full punishment of the law. As we saw during the G20 some individuals and even groups, sought to carry out destruction and avoid prosecution by hiding their face. In Vancouver we saw many cases of people being charged because the circumstances meant that faces were not hidden. People were either identified by police, identified by friends, or turned themselves in. Wearing a mask does not make destruction of property right and one for which the perpetrator should be held accountable, under the law. It appears that Bill C-309 is the governments attempt to deal with those who would knowingly break the law, that is destructin of property. I submit the above not having taken the time to read the text of the Bill. BTW, I am neither a lawyer or a Conservative. So would this proposed ban on concealing identity at such events extend to police, who routinely perform violent, brutal and arguably illegal acts at protests while wearing various sorts of concealing face coverings? So I suppose attending any form of protest in the winter is gonna be off the table, just in case a peace officer declares it a riot? I mean, a scarf and toque could be considered “hiding your identity” rather than “preventing frostbite”. Peace Officers have way more protections than us, yet they conceal their identities’ , some while committing crimes. We as Canadians forget that any Bill going against our rights..can be over turned. We are the law of the land. Pure and simple. We have a right to stand together in quite protest , and we can also shout in one strong voice, masked to protect ourselves from weather or intimidation, fear or tyranny. We also don’t support the few whom act as one in the crowd whom just wants to willfully destroy. I don’t understand why the people in the protest allow these few to step out of line and goat them on. Just stop them. A mask is just that a piece of clothing to protect. A Peace Officer shouldn’t be able to hide either. Unless their lives and families lives or property are in or will be in jeopardy from defending others from ones whom imply to cause harm to them. Every Canadian has that RIGHT. Try in my area, where you call the Police to stop a crime or intervene yourself. They find out who you are, all bets are off. They will retaliate. That’s just the Criminals’ , just try hiding from the Police if you ever catch them in the act of a crime. Section 7: right to life, liberty, and security of the person. (doesn’t say anything about a mask or Not. Section 11: rights in criminal and penal matters such as the right to be presumed innocent until proven guilty. see the Innocent part first? Section 8: freedom from unreasonable search and seizure. Section 9: freedom from arbitrary detention or imprisonment. Just for exercising your rights. How did this Bill pass?